ACCESSORIES for LAPTOPS in North Vancouver from $99. LAPTOP REPAIR . Used, refurbished and new. Includes: Word, Excel, PowerPoint, OneNote, Outlook, Publisher, Access. 1 Year Technical support included. Input: 1 X VGA, Audio L/R. HDMI 1.3 and HDCP compliant. PC: 1920 X 1080 @60Hz, 1280 X 1024 @60Hz, 1280 X 720 @60Hz, 1024 X 768 @60Hz, 800 X 600 @60Hz, 640 X 480 @60Hz. Supports up to 10TB HDD/SSD. Compatible with all 2.5/3.5-inch SATA HDD and SSD. LED indicator for power and disk access. 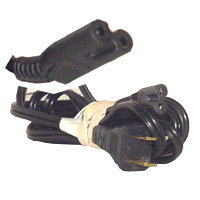 12V/3A strong and stable power supply. LG GP50 Slim Portable DVD Writer. Reads/Writes all modern DVD/CD formats. Doesn’t require external power supply. Silent Play for quiet playback. 1 input and 4 outputs. Approved by HDMI Attached Lab. Support DTS, Dolby, 7.1 Channel audio. Gold plated connector. Plug and play. This set is suitable for repairing and opening electronic devices. 60mm flexible extension can reach the different areas. 150mm pickup tool can be bent into almost any shape for those areas where it is hard to reach. The ergonomic design of holder reduces the fatigue degree during your manipulation. Designed to charge laptops, ultra books, mobile phones, tabletPCs, PSPs, GPS systems, MP3 players, etc. Input: DC 12V 10A Max. Output: eUSB: 1.DC14-20V 4.74A MAX 2.DC5V 2.1A MAX. Output: USB: DC5V 1A MAX. Imported S2 steel material bits, hardness up to 60HRC for long time use. Anti-rust aluminum alloy screwdriver handle and storage box. Comes with an aluminum storage box for easy carry and store. Suitable for quartz watch, regular household appliances such as cameras, radios, computers, mobile phones, drones, etc., meeting the most daily repair needs. Compatible for Apple Macbook Pro,Samsung S8 Plus Note 8,Huawei Mate 10 Pro,LG G5 G6,HTC 10,Nexus 5X 6P,Google Pixel etc. Driver Free, Easy Operation: Plug and play. Equipped with P5, P6, which are only for iPhone series, so it is no more difficult for iPhone series repairing. Aluminum handle is durable and comfortable for you to operate. External memory expansions for iPad/iPhone/iPod Touch. IEEE 802.3, 802.3u and 802.3ab. Extend 3 ports USB 3.0, convenient for your flash drive, keyboard, mouse, Camera, printer, HDD etc. Support the speed up to 5Gbps. It is a perfect solution for Windows Surface Pro, MacBook Air, MacBook Retina and more which do not have ethernet interface, or replace a broken ethernet interface on PC. Compatible: iPads, Tablets, Phones, iPhones. Turn Your ExpressCard Slot into 1 USB 2.0 & 2 FireWire Ports! Device can connect the SATA & IDE external HDD, DVD devices. Device can connect 2.5, 3.5, 5.25 or SATA equipments at the same time. SuperSpeed (5Gbps) high-speed (480Mbps) full-speed (12Mbps). Built-in chipset assures good signal quality to meet USB specification. Extend your USB devices up to 16ft / 5m. USB bus powered, no external power required. Plug & Play, no driver needed. Support Win98/2000/XP Mac os V9.0 or higher. Tinned Copper + Double Shileding. Nickle-Plated. High performance bits: 22 bits made from alloy S2 steel, hardness heated treatment finished to achieve hardness HRC 60 ±2. 22 tips:includes Philips,security Torx,Slotted,Hex,Pentalobe,Security Torx,Triangle,Y tri-wing,SP2. Full metal driver:driver made fully by metal to keep good weight in hand,and with telescopic inside for longer slender reach. Egnomic design:Driver with anti-slip area and free spinning design for precise turning and control with finger. Anti-slip & Anti-shock case design. Listening to music while charging. 0.5mm higher edge to protect screen & camera lens. 1 x 3.5mm Audio Jack. 1 x Port for Lightning Converter. This screwdriver set comes with a magnetic storage, portable pick and place. High-precision tips in different specifications for different applications. The handle is designed based on human mechanics which makes the operation more efficient and more comfortable. Support transmits the Video and Audio to HD TV or HDMI device. Compatible with iPad, iPhone 4/4s, iPod touch 4G. Compatible Model:	For HTC 10, For HTC One, For HTC One M8, For HTC One M9, For Huawei Honor 8, For Huawei P8, For Huawei P9, For Huawei P9 lite, For LG G3, For LG G4, For LG G5, For LG G6, For OnePlus 2, For OnePlus 3, For OnePlus One, For Samsung Galaxy. Compatible Brand:	Universal, For Apple, For ASUS, For BlackBerry, For Google, For HP, For HTC, For Huawei, For Lenovo, For LG, For Motorola, For Nokia, For OnePlus, For Philips, For Samsung, For Sony Ericsson, For THL, For Xiaomi, For ZTC, For ZTE. Supports PC resolutions up to 1920x1200 and HDTV resolutions up to 1080p. Quickly connect a 2.5-inch SATA drive to your computer. Coverage: Indoor 100 meters, 300 meters outside (due to the environment). Plug & Play Built-in lightning pass-through allows charging while connected to HDMI. Note: The lightning to HDMI adapter must be connected to power source to function. Superspeed Ports support Battery Charging. BC 1.2 Smart Charging HUB w/ 12V Power Adapter. External USB Enclosure for 3.5 inch SATA Hard Drive. Micro USB / USB charging cable is included. Micro USB input port (DC5V-1A). Sample: - can charge iPhone 6, 6S, 7 and other up to 4 times. Protect hard drive inside Shockproof silicone case protects hard drive from wearing down and scratching, avoiding hard drive breaking away from enclosures port. Stable and steady Rubber band binds hard drive enclosure to stabilize hard drive and hard drive enclosure, prevent enclosure sliding and dropping. Battery: 1 x AA Battery (Not Included). Super Speed USB 3.0 Hub. Safety approval: CE and FCC approval. Support hot-swapping, plug & play. USB 3.0 with max transmission rate 5Gbps, and compatible with USB2.0/1.1. Each port with isolated switch and LED light, energy saving and easy to control. Mini Size and easy to carry. Connectors: Input-Mini Displayport/Thunderbolt port Male Output-DVI 24+1 male. PC resolution supported: 800x600, 1024x768, 1280x768, 1280x800, 1280x960, 1280x1024, 1440x900, 1600x1200, 1680x1050 @60Hz, 1920x1080 @60Hz, 1920x1200 @60Hz. HDTV resolution supported: 480i, 576i, 480p, 576p, 1080i and 1080p @60Hz. Sample: - can charge iPhone 6, 6S, 7 and other up to 3 times. PCMCIA to SERIAL RS-232 CardBus Adapter. Supports Windows 98/Me/2000/XP/Vista Operating Systems. Compatible Model: For Samsung Galaxy S4, For Samsung Galaxy S6, For Samsung Galaxy S6 edge, For Samsung Galaxy S6 edge+, For Samsung Galaxy S7, For Samsung Galaxy S7 edge. Compatible Brand:	Universal, For HTC, For Huawei, For Lenovo, For LG, For Motorola, For Nokia, For OnePlus, For Samsung, For Sony Ericsson, For Xiaomi. Samsung Galaxy SIII and Note 2 MHL adaptor. Turns your phone’s USB-port into a standard HDMI port. Works with all MHL enabled mobile phones and tablets. Use the TV remote to control and access content on your phone. Supports content with High-bandwidth Digital Content Protection. Keeps your phone charges while connected. Transfer Rates Up to 5Gbps. Supports SATA III, backwards compatible with SATA II. Ideal for 2.5-inch HDD and SSD hard drive as an external USB drive. Supports Windows 2000 / XP / Vista / 7/8 / 8.1 / 10, LINUX, Mac OS 8.0 and higher operating systems. 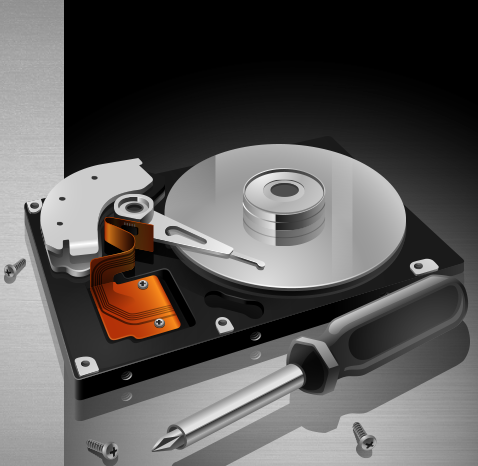 Designed for 7mm/9.5mm 2.5 hard drives up to 10TB. Dual mode mouse Bluetooth and 2.4G wireless 2 in 1. Bluetooth mode works with Windows/ Android/ MAC OS system. 2.4G mode works for laptop, desktop, smart TV and any device with USB port. Quick and flexible charge modes Max 1600 DPI high resolution for fluid motion. Suitable for type-C USB 3.1 interface and support MHL function device. The adapter supports all video resolutions and audio formats including 1080p video and digital audio (Max Resolution to 1280 x 720p). All-in-one cable design for ease of use and optimal cable management. Resolution support of up to 1920x1200 and HDTV resolutions up to 1080p for optimal viewing experience. The slipcase features a soft liner and memory foam construction to provide the ultimate in protection. For your convenience, the slipcase has a full-size pocket for smartphones, documents and accessories. For added comfort, the case has removable and adjustable shoulder straps for hands-free carrying. With a slim profile and lightweight construction, the exterior is made of a durable canvas material with soft ultra-suede trim and handles. Designed to protect laptops with up to 16-Inch screens. Durable canvas exterior with ultra-suede trim and handles soft liner and memory foam interior. Kingstick 32GB USB Flash Drive. Metal Steel Ring USB Flash. Lenovo Yoga USB Power Cord. Includes SanDisk SecureAccess software for password protection and file encryption. Transfer up to 15 times faster than standard USB 2.0 drives. Transfer a full length movie in less than 30 seconds. Converter Adapter 1080P Digital to Analog Video Audio For PC Laptop Tablet. USB3.0 to VGA video converter connects your USB of laptop to CRT / LCD monitor, projector display device. Functions including display, extended display, mirror display. Supports high resolution up to 1920x1080. Operation system only supports Windows 7 / 8. VGA output resolution:support 1920 x1080, 1600x1200, 1360x768, 1280x720, 800x600. Resolution supports: 3840 x 2160 / 60Hz. Feature: Audio - Video Cable. SATA 2ND Hard Disk Drive HDD caddy/adapter for any other Laptop that uses 12.7mm height DVD dirve with SATA connector to the motherboard. It work with SATA 2.5 9.5mm Hard drive, and SSD (Solid State Drive) as well. Support resolution: up to 2560 x 1600. Backward compatible with USB 1.1/1.0. USB powered no external power supply. Hot-swappable plug and play without having to install any. Supports high-resolution up to 1080P. Supports video resolution up to 4Kx2K@30Hz. Supports auto-detection on receiving device. Supports HDMI 12bit Deep Color. For Samsung, Huawei, LG, Xiaomi, HTC. Suitable for intelligent device with Type C interface. May realize charging and data transfer at the same time. Easy Operation CD Slot Car Phone Holder. Satisfy Multi-angle View. The universal rotating ball joint is used for ready to apply any angle to satisfy the needs of viewing perspective, the internal silicone mat can hold the angle steady even in dumpy road. Metal Arms for Durable and Firmly. The high-quality alloy metal arms bring a more steady and firmly power to hold and fix your phone while driving, features a longer lifespan. Input Voltage: 100 ~ 240V. Input Frequency: 50 ~ 60Hz. Output Voltage: iPad 5V/5.2V Tablet 5.35V/6V. Super Slim 18 Keys Numeric Pad. Sample: - can charge iPhone 6, 6S, 7 and other up to 1,5 times. Feature: HDMI to DVI 24+1. Feature: DisplayPort to DVI 24+1. Model name: USB 3.1 Type-C to Type-C cable. Features: Supports 4K video and audio transfer. Wi-Fi Supported Frequency: 2.4G & 5G. Kingston DataTraveler SE9 G2 16GB USB 3.0 Flash Drive. Data Transfer Lightning to USB Cable. High speed transmission, fast charging. Adaptive output depends on the demand of device. 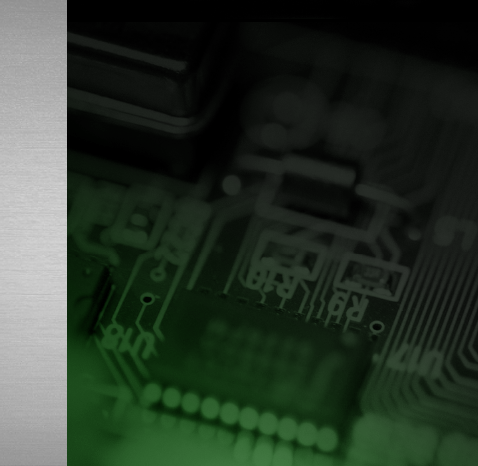 With built-in intelligence chip, it provides full protection against over-current, overload or overcharge. Supports fast charging from laptops and desktops. UNIVERSAL USB CAR CHARGER ADAPTER. Fashionable appearance, stick to the palm shape. Ultra quiet mouse with 90% reduced click sound and same click feel, eliminates noise and distractions for you and others around you. Plug and play, no need to install driver software. Buttons: 3 buttons with scroll wheel. The Max DPI: 1200 DPI. Battery: 1 x AA battery (Battery is not included). Compact, Ergonomic and Comfortable Design. With 800, 1600 dpi resolution by click. Low current with power ON / OFF. Ergonomic design fits your palm in the most extension. Mini and wireless allows you carry around conveniently. 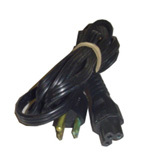 VGA Ferrite Shielded Cable M to M, 25 ft. Compatible: New Macbook, Chromebook and Apple TV 4th Generation. REMAX IOS9 Certified Lightning Cable for iPhone 6/6s. Adapts your new Mini-DisplayPort equipped laptop to your current display. Supports Mini DisplayPort 1.1a input and DVI output. Allow to connect HDMI devices that have Build-in HDMI ports, like HDTV, PlayStation 3, Upconvertor DVD Player, LCD Monitor and projectors. This HDMI splitter cable provides a fast and easy way to simultaneously connect 2 HDMI displays to a single digital HDMI source. With support for high-resolution images, this cable is ideal for home theater applications. High quality rubber-membrane key switches. Responsive touch for speed and comfort. High resolution up to 800dpi. Function: Anti-knock, Heavy Duty Protection, Dirt-resistant. 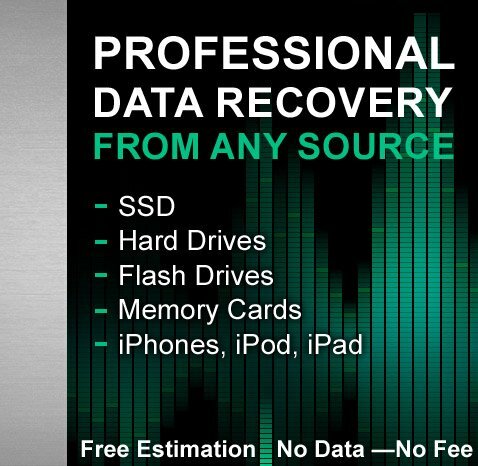 Back Up, Transfer, and Secure Data. Lightweight Design with Retractable USB Connector. Type: Apple 8-pin data cable. 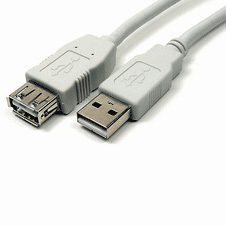 Universal Compatibility: This USB A to Micro B Cord compatible with most Android Cell Phones, Tablets, Windows Phones. Fully compatible with all HDTV formats. Supports resolution up to 1080p. Triple shielding and gold-plated connectors that resist corrosion while offering optimum signal transfer. Supports transfer of uncompressed high-definition video. DVI does not support audio output, so audio will need to be transmitted through a separate audio cable. Ideal for HDTV, Plasma, DVD, Home Theater. Operation Range: 15 Meters/50 feet. USB 2.0 to Micro USB Data Sync Charge Cable. Compatible with New MacBook Pro, HP, Canon, Brother, Epson, Dell, Samsung Printers and More. 4 Shock-absorbent Corners Anti-drop & Shockproof. 1mm Raised Up Protects Camera & Screen from scratch. Soft & Durable TPU material. UGREEN Cable Clips is designed to make your desk and office tidy and organized. Cable Clips can keep all your cables within arms reach while in use and also remain in place while disconnected. The five rubber grips and four slots design allows you to hold 4 cables or cords less than 5mm diameter at the same time. With strong back-adhesive, easy to use, Peel and Stick. UGREEN Cable Organizer is made of highly durable & flexible Silicone for organizing cables without any bad smell. Plug & Play, no driver required. Earldom Lightning Cable for iPhone 6/6s. 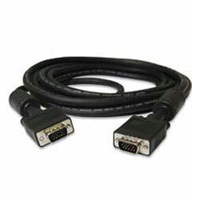 VGA Ferrite Shielded Cable M to M, 15 ft. Car Phone Holder Magnet Metal Plate. Thin TPU + PC Back Cover. Security cable with combination lock. Digital Optical Audio Cable 15 FT.
Creative Xiaomi portable LED light USB lamp. The rated voltage is 5V and rated power is 1.2W. Portable and novel design makes it more attractive and convenient to use. The gadgets except the LED light are not included. VGA Ferrite Shielded Cable M to M, 10 ft.
VGA Extension Ferrite Shielded Cable M to F, 10 ft.
Plug and Play, 2.4 Ghz, USB 2.0 or 1.1. Compatible with Galaxy with dock connector. Easily replaceable fuse to protect against spikes and surges. Convenient and essential for people on go. VGA Ferrite Shielded Cable M to M, 6 ft.
VGA Extension Ferrite Shielded Cable M to F, 6 ft.
Made of Heat Resistant ABS+PC material. Extra cables could be winded in the back. Cable length: 6inch / 12cm. Features: Easy to Install, Ultra-thin, Scratch Proof. High quality/high strength tempered glass. 9H hardness for superior scratch resistance. High Speed HDMI Cable Gold Plated Connection. Universal USB Mini Car Charger Adapter. Compatible with: iPhone /iPad/ iPod. Audio Extension Cable 10 FT.
Function: 3 in 1 Armor Case. Material: Hard Plastic + TPU. Smart design & gives you total access to every functionality and all buttons without removing. Dell KB212-B 104 QuietKey USB Keyboard. Number of Keys: 104 QuietKey. Digital Optical Audio Cable 10 FT. Prevents damage to your precious, expensive screen. Wowpad Magnetic Screw pad postion screw plate Remembrance Mata Precision Tool To Repair Parts Compatible with Wowstick A1 1F 1FS 1S 1P 1P+ H1 etc. This is Wowstick series of products called screw pad wow, that is a magnetic pad used to insert the screw comes from electronic products, such as a smart phone, digital camera, RC toys. Clearly marked grids to enable the user to easily memory position screw bolts installed on the product, the best partner for your wowstick screwdrivers jak A1 1F 1FS 1S 1P 1P+ H1 etc. Firewire 1394b 800M 9 pin to 9 pin Cable 6 ft. 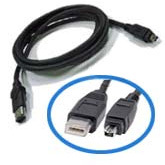 Gender: DVI (Male) - HDMI (Female). Support Resolution: up to 1080p. Charge Your USB-powered Mobile Electronic. Quickly removes dust & dirt from laptops, keyboards, computers, HDTVs & LCDs, Autos & More! Digital Optical Audio Cable 6 FT.
USB Printer Cable 10ft (A to B). 3.5 MM Stereo (M) to 3 RCA (M) Cable 10 FT.
USB Printer Cable 6ft (A to B). FireWire (1394) 6p-6p Cable 6 ft.
R-SIM nano sim adapter can convert your nano sim card to micro sim card and standard sim card, then you can use one nano sim card in all mobile devices. ICON COMPACT DIGITAL CAMERA CASE / BLACK. Flap style opening allows for easy accessibility to camera. Made of Stylish and durable nylon. Elastic sides allow for use with various size cameras.